Dario Coletta is the head Audiologist of Port Credit Audiology & Hearing Aid Clinic. Dario obtained his Masters of Science in Audiology from the University of British Columbia following his Bachelor of Science from the University of Toronto. He has supervised audiology graduate students, presented at a variety of audiology seminars, and has contributed articles for Audiology journals. As a native to Port Credit, Dario wanted to provide the residents of Port Credit and surrounding areas with a local, independent and community-oriented clinic. 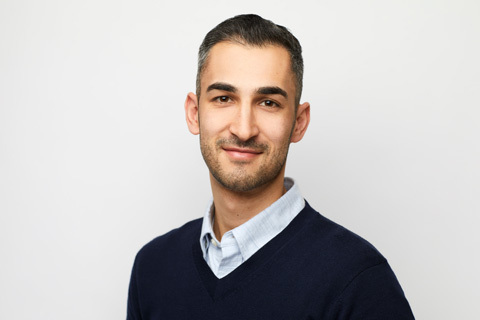 Dario previously worked at the Toronto General Hospital and has knowledge in advanced diagnostics, speciality hearing aid fittings, and cerumen management. Dario also has a special interest in the management and counseling of patients with tinnitus. Dario brings knowledge and efficiency in prescribing and fitting the newest hearing aid technology. He is committed to helping patients find an individualized solution for their hearing healthcare concerns.